Find greeting card phrases that are right under your nose. 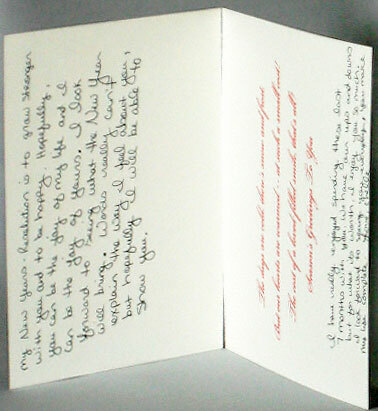 Use your previous letters, texts, emails, and other writings to personalize your greeting card messages. Do you sometimes get writer’s block when putting together your greeting card sentiments? Here’s one idea that can help. Extract words from some of your older letters, emails, texts, or other past exchanges and use them in your greeting card sayings. Okay, I know what you're thinking. Don't think of this as lazily recycling old messages. Instead, think of it as showing the recipient that you cherish him or her so much that you kept and even remembered your exchanges after so long. Therefore, the older the phrases, the more sentimental values they have. Thence, older messages make better greeting card sentiments. Also, add a few lines explaining the source, age, and anything else that comes to mind. This will help the recipient appreciate why you made that choice. I’m just sitting here thinking about you. will bring to our relationship. Even after all these years, I'm still excited about us because I know you and I are still looking forward to what the future will bring to our relationship. Cool, right? 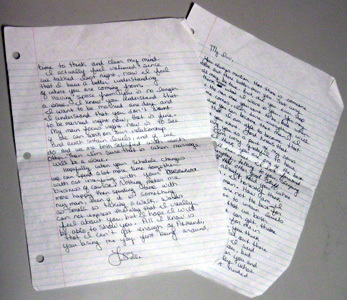 Okay, here are some of my family’s sentimental exchanges over the years. Hope they encourage you to dig through your shoe boxes plus other physical and digital archives for your own words and greeting card sentiments. 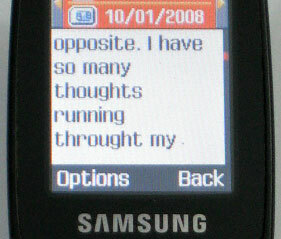 In case you missed it, some of the texts here are so old that I had to dig out an old phone that would work with the old sim card. Interesting, right? My New Year Resolution is to grow stronger with you and to be happy. Hopefully, you can be the joy of my life and I can be the joy of yours. I look forward to seeing what the New Year will bring. Words really can't explain the way I feel about you, but hopefully I will be able to show you. I have really enjoyed spending these last 7 months with you. We have our ups and downs but for what it's worth, I enjoy you so much. I look forward to seeing you everyday. You make my life complete. Just thought of you today and it occurred to me that I have not told you lately how much I love and appreciate you. Thank you for who you are and what you do. 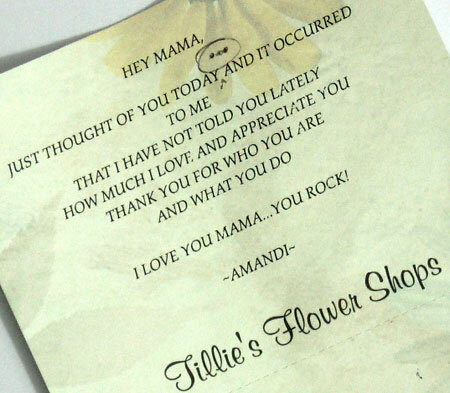 I love you Mama… You rock! ...Nothing makes me more happy than spending time with you, even if it is something as small as taking a walk. Words cannot express the way that I really feel about you. But I hope I will be able to show you. All I know is that I can’t get enough of you. You bring me joy just by being around. I feel like I just walked right out of heaven and walked right into an angel. A rose is beautiful but what is more beautiful is having you in my life. The way a rose starts out small and blooms into a big beautiful rose, is the way that I want my life to bloom with you. P.S. I enjoy spending everyday with you. We may not get to do all of the things that we want to do, but when that time comes, I really look forward to it. Hey baby I’m just sitting here thinking about you. I am so happy to have you in my life. I look forward to seeing what the future will bring to our relationship. I wouldn’t want to lose you! Thanks for being my rain of sunshine in this crazy storm. There’s no way I could have done it without you. I love you more than words can express. Ready for your own greeting card sentiments? Hope you’re now ready to jump into your shoe boxes, letters, emails, and text to dig out those old exchanges for your greeting card sentiments. 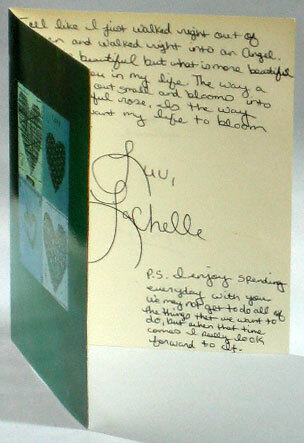 Nevertheless, there are many other ways to come up with greeting card messages.